The Hamptons are a series of towns located on Long Island, New York. East Hampton, in Long Island, New York. The Hamptons are a series of towns and villages found on Long Island east of New York City. Historically, they have been known for housing celebrities and wealthy residents for their summer getaways. Southampton is the most prominent town located in the Hamptons. The cost of living in the Hamptons is relatively high with the rental rates going at very high prices. 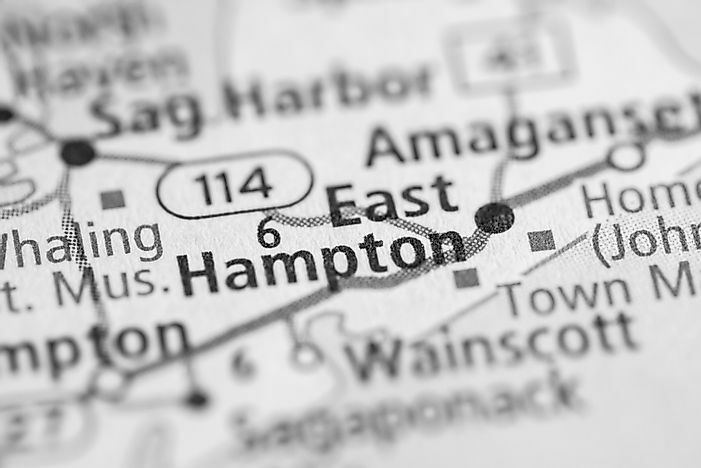 The main villages the Hamptons include East Hampton, Westhampton Beach, Quogue, Southampton, Sagaponack and Sag Harbor. The hamlets in the region include Remsenburg, West Hampton, East Quogue, Hampton Bays and Shinnecock Hills. East Hampton is another prominent town located in the Hamptons of Long Island. It has a population of around 20,000. It is home to over 60 miles of shoreline. More than half of the houses in East Hampton exist as summer homes or second homes. The area includes the hamlets of Amagansett, Montauk, Napeague, Springs, and Wainscott. The Hamptons are renowned far and wide due to the fact that the region has featured in several films and television series. Nevertheless, the main reason behind this consideration by various media sources to feature in their work has been the wealth factor in the Hamptons. The average home price in the area is well over 8 million. The documentary produced in the 2010 entitled the ‘Inside Job’ categorically chose the Hamptons to display the financial hiccups that occurred in 2007. This page was last updated on August 22, 2017.